Explore, Hike, Eat ….. in Saint Lucia! Many visitors to the Caribbean are conditioned to the image of laying on the beach to a blue sea in sight, whilst sipping on a rum punch. For energetic travelers who can’t sit still on the beach, St Lucia’s rugged terrain and scenic trails beckons. Saint Lucia has a myriad of unique offerings for its travelers especially those drawn to lush hiking trails, waterfalls and bromeliads dripping with water from the rain. 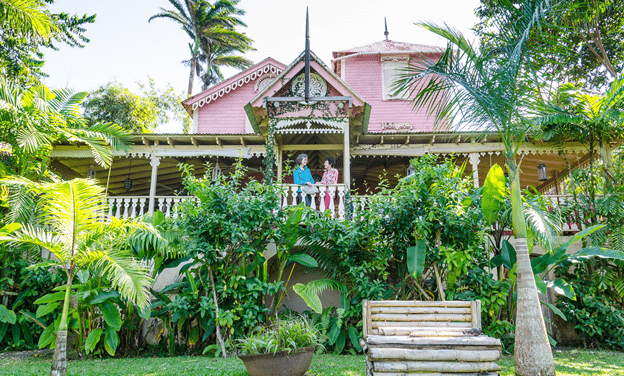 Barefoot Holidays St. Lucia has designed activities which allow the adventure seeker to explore the concealed beauty of our hills, valleys and awe-inspiring vistas. 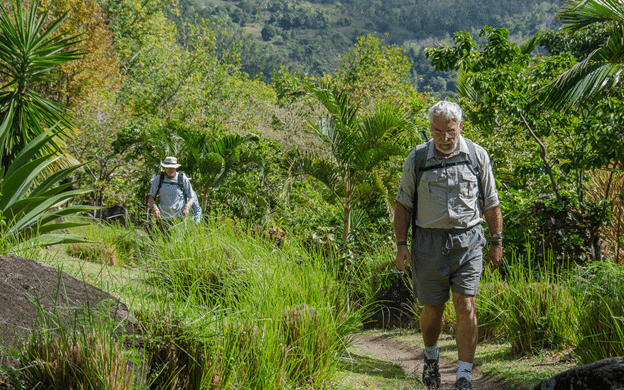 Hiking the trails through the rainforest, St. Lucia’s mountainous peaks, through old plantation grounds, past waterfalls, along beaches, to Cactus Valley and even around Pigeon Island gives you the perfect opportunity to discover what lies behind the stunning coastline, catch a glimpse of the soul of the country and meet its beautiful people. The culinary offerings are as diverse as the natural landscape and one of the most enjoyable aspects of any Caribbean vacation is the abundance of fresh, tropical fruit, vegetables and seafood prepared in delicious and exotic ways. Come along with us on this voyage as we reveal the secrets which makes St. Lucia unique and “Simply Beautiful”.